Endowed with attractive wildlife resources, nature, rich history, and diversified cultures, most African countries drag behind in their economic development, making their people, mostly Africa’s children and women, live below the poverty line. But there is no reason for this in a country that is rich in tourism resources and attractions. To draw attention to the plight of Africa’s children and how tourism could be the answer to this economic dilemma, Africa marks the Day of the African Child looking to raise awareness about rampant child labor, poor education, torture, and early marriages in under-age girls. 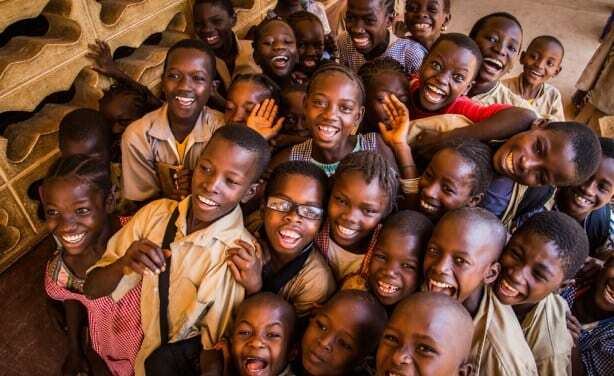 With a theme “Leave No Child Behind for Africa’s Development,” the event will be marked in most African countries to attract international awareness over plights of children in the continent. The United Nations had identified problems and plights facing African children being cheap and hard labor in the agriculture, livestock, forestry, fishery, and aquaculture sectors. The UN said in its report that in Africa, one in five children is a child laborer, which translates into a total of 72 million children, with 62 million of them or 85 percent of children on the continent working in agriculture. The Sub-Saharan region has one of the highest rates of child marriage with 40 percent of the female population married before their 18th birthday, the UN report said. “Child brides often drop out of education. They are more likely to die due to complications in pregnancy and experience horrific violence, exploitation, and abuse,” Susan said. In East Africa, children are engaged in extensive farming for longer hours, harvesting crops, and livestock herding. Under-age marriages among the girls is a common phenomenon in this part of Africa. Tanzania, one among the African countries rich in natural resources, still faces the plight of child abuse, with tens of thousands of children lacking education, health, sanitation servicesm and recognition. Communities are the driving force engineering the plight of child abuse in this African country. Under a joint campaign program, UNICEF and key media houses in Tanzania launched a nation-wide campaign targeting the elimination of child abuse. The media campaign is currently coordinated by the Tanzania Editors Forum, working to expose, highlight, and create awareness about child abuse in this country. A vicious cycle of poverty triggers abuse of Africa’s children, their families, and their communities. Rural poverty is one of the root causes and also consequences of child labor. The Day of the African Child is celebrated on June 16 of every year. It provides an opportunity for the promotion of the campaign of “Girls Not Brides” to African communities, encouraging an action to address child marriage at the regional, national, and local levels.